The Board of Directors are responsible for managing, controlling and conducting the business, activities and affairs of the Transit Authority. The TARC Board is responsible for over-all planning of mass transit in its transit area. Statutory Authority – KRS 96A.010 – .230 The eight (8) member Board is appointed by The Louisville Metro Mayor with approval of Metro Council. Cedric Merlin Powell is a Professor of Law at the University of Louisville Louis D. Brandeis School of Law. Professor Powell received his B.A. with Honors in Politics from Oberlin College and his J.D. from New York University School of Law where he served as Managing Editor of the N.Y.U Review of Law & Social Change. Professor Powell served as law clerk to the Honorable Julia Cooper Mack of the D.C. Court of Appeals; he was Karpatkin Fellow in the national office of the American Civil Liberties Union; and he practiced as a litigation associate with Skadden, Arps, Slate, Meagher & Flom in New York. 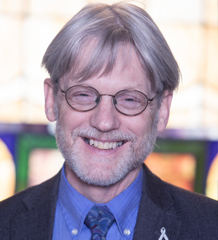 Professor Powell’s articles have appeared in the Harvard BlackLetter Law Journal, Harvard Journal on Racial & Ethnic Justice, University of Miami Law Review, Saint Louis University Public Law Review, Washington University Journal of Law & Policy, and the Utah Law Review, among others. Professor Powell was awarded the Justice William E. McAnulty, Jr., Trailblazer Award by the Louisville Bar Association. He is the first law professor to be so honored. In 2018, Professor Powell was awarded the 2018 University Distinguished Faculty Service Award for Career Exemplary Service. Mary Margaret Mulvihill retired from the City of Louisville after 23 years of service. She is a graduate from Presentation Academy, and the University of Louisville where she earned a Bachelor of Science Degree and a Masters of Arts Degree. She worked for 10 years in the Office of Human Services as an Executive Administrator for the City of Louisville—coordinating human needs services within the community, as an Adjunct Professor of Political Science for the University of Louisville, with the Neighborhood Development Cabinet—working to increase the accessibility of government to local citizens, served three terms as Alderman for the City of Louisville, and served as liaison between City Government and Neighborhood Organizations. 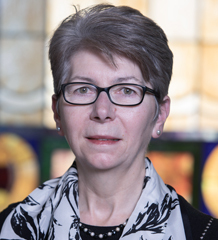 She recently served on the Advisory Board for Doors to Hope, and currently serves on Pastoral Council at Saint Agnes Catholic Community, and the Board of Trustees for Presentation Academy. Alice K. Houston graduated from the Louisville public school system in 1964. She received her diploma from Baldwin Wallace College in 1968; and she attended Vanderbilt University on a Danforth Foundation Fellowship in Latin American History. Alice left Vanderbilt in 1969 to marry Wade Houston. The two lived in France, where her husband played and coached basketball in Strasbourg. Upon returning to the United States, Alice began a long and successful association and career at the University of Louisville. She left the university in 1988 to join a series of family businesses, which collectively became the second largest minority-owned company in the United States, and the largest minority-owned transportation company in North America. In 2001, Alice divested of her interests to concentrate her attention to developing HJI Supply Chain Solutions. She became President and CEO in 2005. During the ensuing years, HJI became a preferred supplier of material fulfillment, sequencing, assembling, and logistic services, and won the 2011 TSMSDC “Supplier of the Year Award”. Aside from her business interests, Alice enjoys working in the community. She is a former member of the Board of Directors of the National Urban League, a past Chair of Greater Louisville, Inc., and was honored as Louisvillian of the Year in 2008. She currently serves on the following boards: Federal Reserve Bank of St. Louis, 55,000 Degrees and 15K Degree Initiative, Simmons College of Kentucky, Louisville Arena Authority, the James Graham Brown Foundation, Transit Authority of River City (TARC), Greater Louisville Project, University of Louisville Foundation, and Greater Louisville Inc. Alice is a member of Delta Sigma Theta Sorority, LINKS, Inc., Girl Friends, Inc., and a Trustee at Green Castle Baptist Church. Of all her activities, however, she is most proud of being married to Wade, and being the mother of Allan, Lynn, Natalie, and “Mema” to her fifteen grandchildren. Ms Morrow has experience in National, Regional, and Local Public Accounting Firms. She also was manager of Accounting /Business consulting at the LCDB Enterprise Group, an Economic Development Initiative. She currently operates her own practice, Mary Morrow & Associates, which specializes in Business Negotiation and Planning; Financial Consulting; Accounting and Tax Services; Funding Recommendations; and General Business Strategy. In addition, she has more than 30 years experience in group dynamics and facilitation, training and development, curriculum development, change management, strategic planning and problem solving facilitation and group process management. As an investor in several local businesses, Ms. Morrow has been active in the day-to-day advising and operation of those businesses. Her certification as an Executive coach has been invaluable to both these businesses and her clients. She currently serves on the Transit Authority of River City Board and Advisory Committees of the Metro YMCA and Assumption High School. She has served as Chairman on the boards of: Leadership Louisville, the Transit Authority of River City the University of Louisville Alumni Association, the National Association of Women Business Owners and Assumption High School. In addition, she has served on the College of Business International Board of Advisors to the Dean, Boards of the Kentucky Shakespeare Festival, Aging Resource Center, Louisville Forum, Business & Professional Women, Entrepreneurial Education & Leadership Group and Meredith Dunn Learning Center. She is a member of the Kentucky Society of CPAs. Mary graduated with honors from the University of Louisville, earning a degree in Accountancy. She received the Outstanding Graduating Senior Award for Scholarship, Leadership and Service. Ms. Morrow was named one of Louisville’s 100 Wise Women by Leadership Louisville. Mother of four and grandmother of 11, Mary treasures time with her family, reading, gardening and all things related to lake life! Chuck Rogers was appointed to the Board of Directors of the Transit Authority of the River City (“TARC”) in August 2012, where he serves on the Customer Relations Committee. Chuck is a disabled veteran, having served in the United States Air Force, who has been a disability advocate in the Louisville Metro area for more than 30 years. Chuck graduated from the University of Louisville, School of Arts and Sciences, with a Bachelor of Arts degree in psychology in 1990, and the University of Louisville Justice B. Brandeis School of Law with a Juris Doctor degree in 1995. He is licensed to practice law in the Commonwealth of Kentucky. Chuck has been employed as a Staff Attorney at the Kentucky Court of Justice since April 1996, and presently works for Judge Susan Schultz Gibson in Jefferson Circuit Court. Chuck serves on the Louisville Metro ADA Task Force. He is the former president and vice-president of the Metro Disability Coalition (“MDC”), and currently serves as a board member of the MDC. Chuck also serves on the Board of Directors of the Center for Accessible Living, where he serves as the chair of the Advocacy Committee. 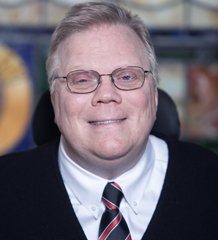 Chuck has also served on the City of Louisville ADA Advisory Board, the Jefferson County ADA/Section 504 Advisory Board, the Kentucky Derby Festival Disability Focus Group and the KATS Network Board of Directors, where he served as chair for two years. He has been involved with the grassroots advocacy effort of the Louisville Metro Sweep for Access, which advocated for businesses to be accessible in compliance with the Americans with Disabilities Act (“ADA”). Association, the Kentucky-Indiana Chapter of the Paralyzed Veterans of America, and the Kentuckiana Chapter of the Spinal Cord Injury Association. Chuck has received the following awards and recognition: Strathmore Who’s Who, 2013; Madison Who’s Who, 2013; the Metro Disability Coalition, Breaking Barriers Nancy Durham Disability Advocacy Award, 2006; the Louisville Metro Mayor’s Citation, April 2003; the Kentucky Disabilities Coalition, Arthur Campbell, Jr., Award, 2000; the Kentucky Regional DBTAC Achieving Distinguished Attitudes Award, 1999; the Jefferson County Fiscal Court Honored Volunteer, 1998; and the University of Louisville Disabled Alumnus of the Year, 1997. JC Stites is Founder and CEO of Autodemo LLC, a video marketing company that shows how technology works. Over the past 20 years, Autodemo’s clients have included Microsoft, Amazon, Salesforce, Ebay and Google. Mr. Stites’ love for Louisville has lead to civic work related to transportation and parks. In 2005 he co-founded 8664.org, a grassroots organization to promote a cheaper alternative to the $2.6 Billion Ohio River Bridges Project. The unsuccessful effort would have torn down the city’s elevated waterfront expressway. Mr. Stites has served on the board of Olmsted Parks Conservancy and Transit Authority of River City. He is a proud supporter of his wife’s efforts to create a culture of health, by founding the Smoketown Family Wellness Center in one of Louisville’s most historic and underserved neighborhoods. Mr. Stites is a graduate of the University of Virginia and Portland State University (MBA). Ferdinand L. Risco Jr., MBA is the Interim Executive Director for The Transit Authority of River City (TARC), the largest public transit agency in Kentucky, carrying 15 million passengers annually. He is responsible for leadership and direction for all operations in the system. Risco’s experience includes: freight transport, manufacturing, warehousing and transportation. He has worked in operations, maintenance, employee and labor relations, human resources, diversity and inclusion. As a former Army officer, Ferdinand has helped government agencies and later fortune 500 companies earn awards and distinctions for their best in class results. As a transit executive and former college professor, Risco is highly sought after as a lecturer on many topics including: diversity and inclusion, equal employment practices, supplier diversity, disadvantaged business enterprise certification, leadership and workforce development. Ferdinand’s community involvement led to an appointment by Mayor John DeStefano, Jr. to the New Haven Board of Education in 2009, an appointment to the Connecticut State Board of Education by Governor Dannel P. Malloy in 2011 and service on the Board of Directors of the National Association of State Boards of Education. Risco is a graduate of Leadership-APTA. 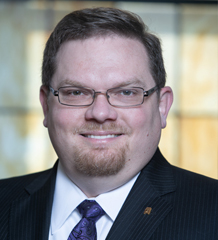 He currently serves as Chairman of the association’s Workforce Development Committee and previously served as Vice-Chair of the Committee, Chair and Vice-Chair of the Organizational Development Sub-Committee. Risco is also an ENO Center for Transportation’s Transit Executive Seminar graduate. Here in Louisville Ferdinand continues his service to the community. He currently serves on the Board of Directors for The National Safe Place Network, The Healing Place and as Secretary for The Louisville Urban League. Jessica is a Louisville, KY native. After living out of state for several years, she returned to Louisville to join the TARC team in 2011. She is a graduate of the University of Kentucky with a Bachelor Degree in Fine Arts, and Spalding University with a Master’s Degree in Business Communication. As Director of Customer Experience she represents the passenger’s needs and interests at the leadership level. She works to improve customer communications, and partners with multiple departments and communities throughout the region in pursuit of these goals. Holman currently serves on the Downtown Louisville YMCA Board. She is a member of Delta Sigma Theta Sorority, Inc. and Whisky Chicks social club. Other accomplishments include 2016 TARC Black Achiever, Leadership Louisville – 2014 Ignite Louisville, and Friends of the Zoo 2009 – 2012. Jessica enjoys traveling and spending time with family. 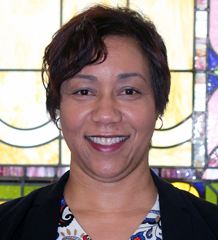 Tracy joined the TARC team in 2019. She is a graduate of the Northern Kentucky University Chase College of Law. As Director of Diversity & Inclusion she serves as the Authority’s Chief Compliance and Equal Employment Opportunity Officer responsible for ensuring that all TARC strategies, goals, and business units are compliant with, and adhere to all local, state, and federal regulations. She develops and implements diversity and inclusion initiatives and consults with other members of the executive and senior leadership team to ensure that all decisions, activities, programs, and services are equitable and do not negatively impact current or potential employees, customers, communities, businesses, or other stakeholders. Davis has experience encompassing a unique blend of formal education, operational leadership and administrative expertise in the private sector, government and non-profit organizations. She is a skilled Mediator and seasoned litigator having conducted both bench and jury trials before the District and Circuit Courts of The Commonwealth of Kentucky. Janna is a Louisville, KY native, who joined the TARC team in 2013. She is a graduate of the Univesity of Louisville with a Bachelors in Communication, and Spalding University with a Masters of Science in Business Communication. As Director of Employee Engagement she helps to build a thriving culture and environment where all employees are engaged and able to perform at their fullest potential. Woodfork works with several non-profit organizations in Louisville and is an active member of The Junior League of Louisville where she has served as Leadership Training Chair, and the Communication Team Leader. She is an active volunteer with JCPS, and a member of the Leadership Louisville Center. Janna enjoys traveling with her husband, and spending time with her family. Tonya is a Louisville, KY native, who joined the TARC team in 2002. She is a graduate of the University of Louisville with a Bachelor of Science in Accounting. As Director of Finance she is responsible for the overall financial management of the Transit Authority, which includes accounting, budgeting, payroll, grants, administration and coordination of auditing by independent contractors. Carter has more than twenty-five years of combined education and experience performing progressively challenging responsibilities in finance, budgeting and accounting in various industries. She currently serves on the Metro Investment Council. Geoff joined the TARC team in 2004. He is a graduate of the University of Louisville with a Master of Public Administration degree. As Director of Grants & Capital Programs he is responsible for administering TARC’s Federal and State grants, and for managing TARC’s Capital Programs. Hobin has served on the boards of the Center for Neighborhoods, the Louisville Group of the Sierra Club, and the Louisville Metro Community Action Agency. 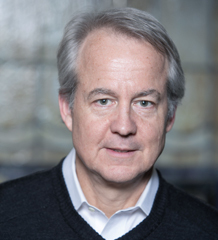 Currently he serves as President of the Board of the Louisville Climate Action Network (LCAN). Kim joined the TARC team in 1990. She is a graduate of the University of Louisville with a Bachelors in Business Administration and HRCI/SHRM certification from Bellarmine University. As Director of Human Resources she provides overall direction to the HR Department including staffing, recruitment, employee and labor relations and benefits. Blanton has over 30 years in the Human Resources field, with extensive knowledge in rules and regulation compliance at local, state and federal levels, including Federal Transit Administration and Federal Motor Carrier Safety Administration. She has been a member of the Management Labor Negotiations team since 2004. 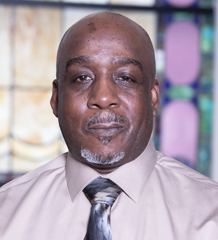 Dwight joined the TARC team in 1998 and has called Louisville home since he was 8 years old. He is a graduate of the University of Louisville School of Business. As Director of Information Technology he is dedicated to leveraging technology in the improvement of Public Transit and committed to pioneering solutions that will help define TARC as a leader in the transit Industry. Maddox is honored to be a member of the Board of Kosair Charities in Louisville and spends much of his spare time engaged in their mission of helping children in need. Dwight is active in many local civic and fraternal organizations. He and his wife Rebecca are both members of the Drepung Gomang Center for Engaging Compassion in Louisville. William Harris joined the TARC team in 2006. He has a degree from Great Plains Vocational School in Automotive and Diesel Technology. As Director of Maintenance he is responsible for managing the maintenance of all the buses, buildings, and support equipment. Harris has served on a joint committee with the Department of Labor, American Public Transportation Association and The Learning Center. William also serves on The American Public Transportation Association Bus Roadeo Committee. Max joined the TARC team in 2018. He is a graduate of Western Kentucky University with a Bachelor of Arts in Communication and a Master of Arts in Broadcast Communication and Advertising. As Director of Marketing he is responsible for developing and implementing the long-term vision for the TARC brand, including the planning, development, and implementation of TARC marketing strategies and communications, both internal and external. Maxwell has been a professor in the communication department at the University of Louisville for over 30 years lecturing in Advertising, Urban Communication and Hip Hop and Culture. He is also a member of the faculty senate. He has also worked as Vice President of External Relations and Development at Kentucky State University. Wanda joined the TARC team in 2018. She is a graduate from Stockton University. As Director of Paratransit & Customer Service she manages, organizes and monitors TARC’s Paratransit services while ensuring full compliance with ADA rules / regulations, and troubleshoots issues and concerns with both paratransit and customer service. Henderson sharpened her leadership skills in the US Army as a Medical Service Officer in multiple positions including patient care, logistics, program development, training and management. Prior to her tour of duty in the US Army, Wanda was a certified Social Worker in NJ where she work and served as an advocate in her community in the fight against HIV/AIDS as Chief Case Manager and Substance Abuse Counselor. Aida joined the TARC team in 2010. 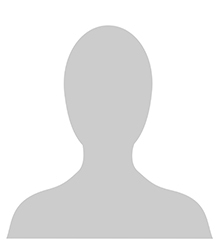 She is a graduate from the University of Sarajevo with a degree in Civil Engineering. As Director of Planning she manages TARC’s current and long-range planning efforts, oversees service planning and scheduling, and on-street infrastructure improvements. Copic is a member of several professional organizations, AICP, APTA, APA and APA KY Chapter, ULI and TCRP. She is involved in a number of community-wide regional and local transportation projects and development initiatives and has experience in Transportation and Land Use Planning, Project Management, Strategic Planning, Civil Engineering, Funding and Grants applications, Pedestrian Planning, and Urban Design. Michael is a Louisville, KY native, who most recently joined the TARC team in 2012. He is a graduate of Vincennes University. As Director of Purchasing he is responsible for the procurement of parts, services and supplies needed to efficiently operate the transit authority, while assuring compliance with agency standards for contract and quality compliance, timeliness and cost effectiveness. Ratchford has over 30 years of management experience in Logistics and Transportation Operations. He is currently a U.S. Soccer Federation Referee, has served on multiple School Athletic Associations, and has volunteered for several Instructor and Director positions within the community. CC joined the TARC team in 1990. He is a graduate from Spalding University. As Director of Training he ensures all TARC employees receive job-specific training and development, particularly those in the Transportation and Maintenance departments, while exemplifying and instilling TARC’s “Customer First” philosophy. Callens spent 14 years at TARC as a Coach Operator prior to moving from the Transportation department into Training. 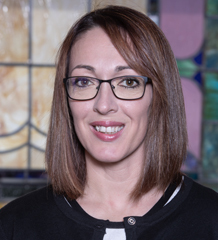 Michelle joined the TARC team in 2019. As Director of Transportation she is responsible for the oversight of and has ultimate responsibility for the mobility operations of TARC including all fixed route service delivery models, ensuring TARC services meet the highest standards possible in customer service, efficiency, and effectiveness. Bartoszek has over 15 years of experience in logistics management. As a transit system Transportation Manager for Southern Indiana, U.S Army Transportation Manager, and then Senior Transportation Manager, she has a wealth of experience and training with various service delivery models. She has three wartime deployments where she received numerous awards for her transportation expertise. Michelle has a passion for helping people in her community by volunteering her time at the YMCA as a wellness coach. 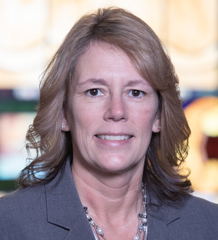 Lorri joined the TARC team in 2019. She is a graduate of Stockton State College with a Bachelor’s degree. As Director of Safety & Security she ensures TARC customers receive the safest service possible, she is responsible for developing, implementing and maintaining Authority wide safety and security programs.